The A1 Passport story— how we got here and what we do. That is the slogan printed on the back of our business card, and it has been our mantra since we opened our doors way back in ’92. The world has evolved since then: there is more international integration, a change in world views, and the advent of electronic communications like the internet and mobile phones. All of this has influenced how and why we travel, but the exigency for issuance of visas and passports has only increased with globalization and technology. At A1 we know this, and that is why we’ve made our website as simple and intuitive as possible, with a responsive design that will adapt to your smart phone or tablet computer. We keep all of our forms online for you to download, fill out and print so that we can provide you with the fastest and most efficient service possible. We also know you have options when you choose a passport and visa service, so we put customer care high up on our list of priorities. We work hard to build up our client’s trust over time, and provide them with the fastest and most relaible assitance the consulate or U.S. Department of State permits. We do everything in our power to get you where you need to go. Headquartered in the District of Colombia and serving a global client base, A1 Passport and Visa Express is a comprehensive and dedicated company in the visa and passport field. We are a premier expediter in DC that helps travelers when they have gotten themselves into a deadlock where they need a visa or passport fast and can’t do it by themselves. We also help customers who prefer the security and confidentiality of a small hand carry company. Thank you so much for choosing our company and for placing your trust in us; we truly value your business. 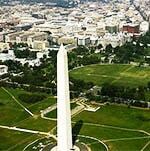 Prime Locations in Washington DCWashington DC has 176 resident embassies, not including other diplomatic missions. In other words, our city has the most embassies, consulates and chanceries in the entire country. When you choose a company to obtain your visa or passport, you want to send your documents to a company with a geographic location that ensures the quickest and most efficient processing possible. 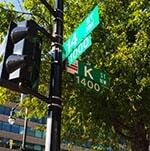 Right on K Street in DC and close to Embassy Row, A1 is situated right in the heart of the nation's capital. Our small business can do things large businesses can't. At A1 Passport we have a passion for our work, flexibility. We also have an environmentally sustainable office model and hand-carrying documents means no driving and more biking and walking! We also give our clients the personal attention they deserve. We answer e-mail promptly, and when you call our office during business hours, you get connected to a real person. No amount of sophistry or web design can make up for genuine field experience. With globalization, the passport and visa business is rapidly evolving alongside the rest of the world. In the last few years, the market has become increasingly saturated, with large corporations buying up smaller companies in the DC area. At A1, we remain an independent company so that we can provide you with the best customer service and attention to detail. We have been in the business for over 23 years and intend to keep it that way— autonomous, experienced and reliable!